For a long time now, Apple has seen the value in letting Mac owners get a better understanding of how the battery is performing on their MacBook. 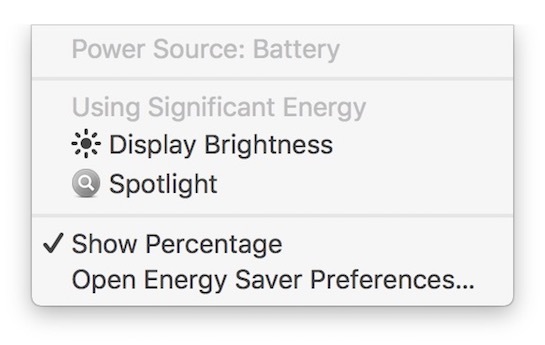 In addition to showing battery percentage, as well as a visual indicator of remaining battery level, Apple’s macOS also shows an “Apps using significant energy” chart that instantly lets a user know if a running app has become a power hog. 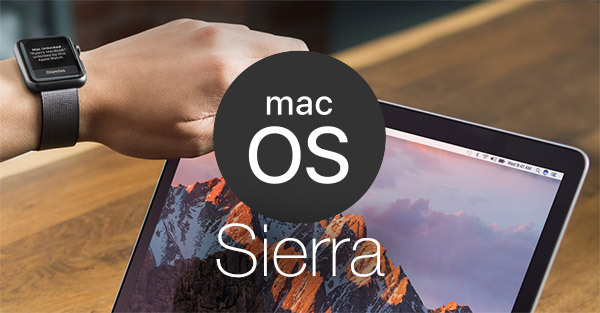 Now, as part of the continued progression of that feature, the latest macOS beta extends that functionality to include connected displays. Anyone who uses the aforementioned energy feature will probably get used to seeing the same applications appear in that section. As an example, Google’s Chrome web browser makes no secret of the fact that it is happy to use up a disproportionate amount of a Mac’s battery. Music streaming service Spotify has also been guilty of that in the past, as has communications tool Slack, and even Apple’s own Safari browser which most recently resulted in a slew of poor 2016 MacBook Pro performance reviews. For those that haven’t actually looked at the brightness indicator on a Mac when the brightness is being changed, 75% is defined by 13 out of 16 pips being active when turning the brightness up or down. With the latest beta release of macOS 10.12.3, putting the brightness of the display to above 75% not only adds the new “Display Brightness” item to the energy monitor feature, but clicking on it instantly lowers the brightness back down to 75%. For reference, this is the brightness that Apple used during its MacBook Pro battery tests as part of the 10-hour battery claims. Battery life is an extremely important feature and selling point for Apple where the MacBook is concerned. This has been brought to prominence recently when Consumer Reports refused to recommend the purchase of Apple’s new 2016 MacBook Pro due to the fact that showed erratic battery performance in initial tests. This was something which was later identified as a Safari bug which once fixed, resulted in great battery life and ultimately letting to Consumer Reports recommending the 2016 MacBook Pro again. This new addition will definitely be useful to consumers, but is currently only available to those testing the latest beta of macOS 10.12.3. I don’t need a warning, I prefer having a decent battery.